The easiest substitution is a pre-mixed gluten free blend. These have already been tested and are available at most local grocery stores. If you are feeling more adventurous you can mix your own blend. 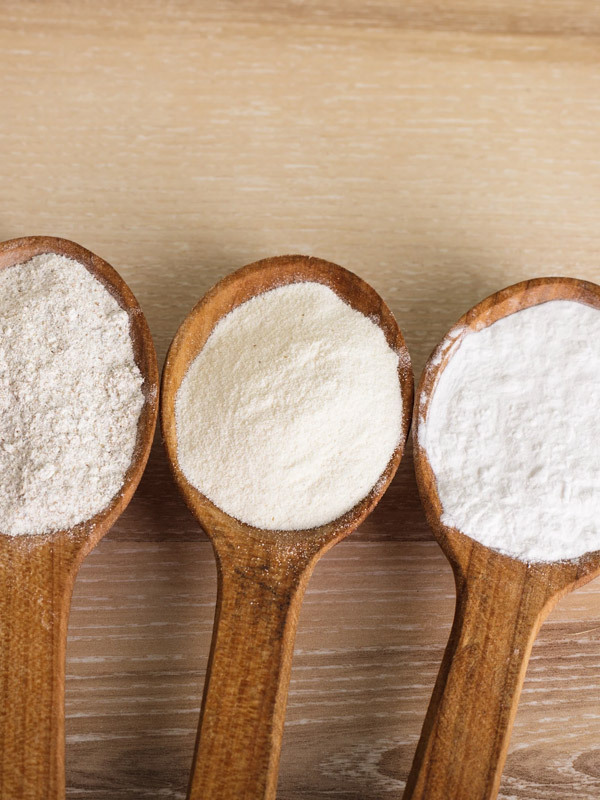 Just be sure that when your replace gluten free flour you use at least two different non gluten flours as well as a starch and measure by weight not by volume. Try out our recipe for gluten-free pie crust or find other delicious recipes on our blog.